Cori Wapnowski's colourful documentary Bruk Out! follows six dancers from all over the globe and explores their burning passion for Dancehall. This concludes with the biggest competition in the world held in Jamaica, where the women compete for top spot and title of world Dancehall Queen. 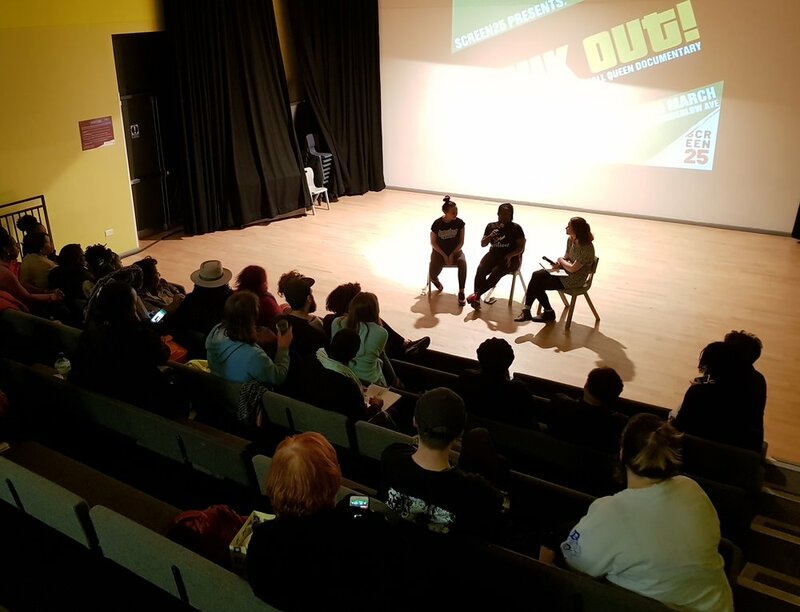 We co-hosted the event with Dancehall Origins, a group that promotes and supports dancers, teachers and performers from Jamaica to share their practice in the UK. Shelaine Prince of Ignition Dance Company was also in attendance and kicked off the evening in style with a hour long Dancehall class, giving our cinema-goers a taste of the true energy and power of the dance form. Not long into Bruk Out! do we learn about about the global impact of Dancehall, not only as a expressive dance form but as a musical style, showing how it has even influenced many famous DJs and musicians. The main dancers featured in the film are from Japan, America, Italy, Spain, Poland and of course Jamaica, however it would be hard to see the geography that separates them, as the women all have very similar love stories with Dancehall. The genre is an outlet that allows them let loose and truly express themselves as dancers, and as women, helping them to overcome issues in their own personal lives and upbringing. The dance style is provocative and aggressive, and invokes a reactionary experience, similar to early punk-rock music in the UK, which also celebrates raw expression, improvisation and a D-I-Y style in it’s performance. Like punk music, Dancehall won’t be finding its place in every person's home, but will continue to seek out those in society and all over the globe whose values it resonates with. We concluded the evening with a special Q&A with both Emily Labhart from Dancehall Origins and Shelaine from Ignition Dance Company, who gave us a first hand account of how they first fell in love with the genre. Both women also explained how they our helping to spread the genre around the UK, as well as discussing the future of Dancehall, which is growing in its popularity in London and beyond.